A backhaul, as it relates to trucking and logistics, is the return trip of a commercial truck that is transporting freight back over all or part of the same route it took to get to its current location. Both freight brokers and motor carriers rely heavily on one another when it comes to backhauls. Let me explain how and why. After delivering their customer’s freight, motor carriers typically want and need to get their trucks back to their home base quickly so they can pick up another load for one of their primary customers. If one of the carrier’s primary customers calls him for service and he doesn’t have any available equipment to pick up the load, that customer is most likely going to call another carrier which presents a lost revenue opportunity. 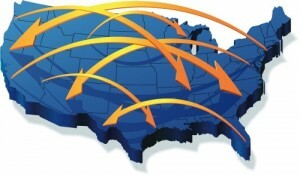 Carriers typically call on freight brokers to provide them loads back home, backhauls, in an effort to save both time and money. 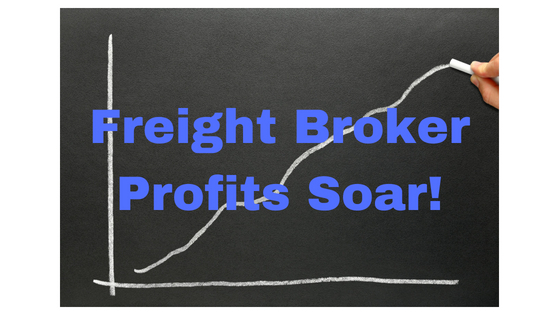 In exchange, freight brokers are typically able to negotiate a reduced per mile freight rate of 10-30%, which allows brokers to earn a profit for the service rendered to their customer. Why would a carrier take a lower rate on a backhaul load? The answer is MONEY…the fact is, every minute that a truck is sitting still or running without a paid load onboard it, is incurring expenses and losing money. A few of these expenses include the truck/trailer payment, insurance, fuel and driver pay just to name a few. So many, not all, carriers feel it is better to accept a discounted backhaul load from a broker today that can get them home quickly, versus driving home empty or waiting for several days hoping for a higher paying load. Another growing trend regarding backhauls is with private fleets. More and more companies who deliver their own product to customers via private fleets are using backhauls as a way to offset expenses. 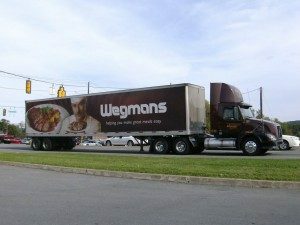 A few examples of well known private fleets include Walmart, Bridgestone, Wegmans and Del Monte Foods. You can learn more about private fleets by visiting National Private Truck Council. Now consider this; if a truck runs 100,000 miles per year at 6 miles per gallon it is using approximately 16,666 gallons of fuel per year. At the current diesel price of $3.83 per gallon the total cost of fuel for one truck is over $63,000 per year. The fact of the matter is, if a private fleet accepts backhauls to cover even half of those miles, it can save over $30,000 per year/per truck! Some may debate the definition or value of backhauls but the fact is they are an important part of the logistics industry because they provide a valuable service to everyone involved. Carriers save time and money repositioning their trucks, freight brokers receive discounted freight rates and shippers get their freight delivered without delay. In the dog eat dog, highly competitive market place as we have to today with the internet and growing global competition I see backhauls as a true win-win opportunity for everyone. Click the following link to learn more about our online freight broker training program. 2 Comments on "What is a backhaul?"